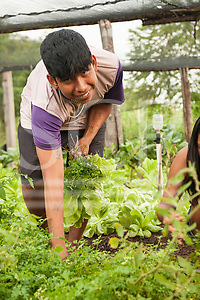 Tribes Alive collaborates with Indian tribal communities to help them to be self-sustaining and independent, and to promote indigenous people’s traditional way of life as an equal, valuable and valid alternative to other cultures. Sue Cunningham’s exhibition ‘In The Heart of Brazil’ runs from the 4th to the 24th March at the Brazilian Embassy, just off Trafalgar Square. Full address 14-16 Cockspur Street, London SW1Y 5BL, open Monday to Friday 11am to 6pm. Admission is free. 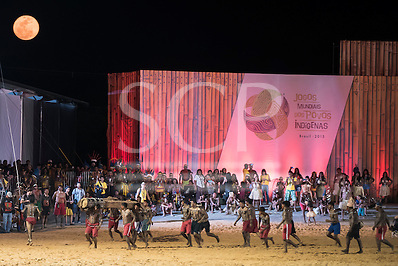 The exhibition centres on the first ever International Indigenous Games, which took place in Brazil during October last year – more information here. There will also be workshops for school students, ‘A Journey Through the Brazilian Amazon’, but these must be arranged in advace through the Brazilian Embassy. 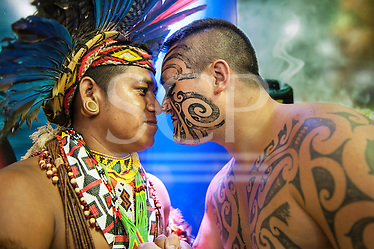 The photographs are of Indigenous People from Brazil and over twenty other countries. They came from all over the world to participate; not just compete, but to celebrate their traditions and to exchange information about their common experiences and the threats that they all share. We have a target: just £3,500 will provide a comfortable and secure place to stay for students. As we walked down the path three pairs of squawking macaws flew over us. Bright blue giant morpho butterflies took to the air, disturbed by our approach. To the side the forest sighed with a gentle breeze. We were on our way to visit a unique secondary school, located within the indigenous reserve, in response to a request for help from the community. Our counterpart organisation Instituto Raoni, which represents the Kayapó of Mato Grosso and southern Pará, have approached us for funding for the school. Until recently, any Kayapó teenagers who wanted to progress beyond the basic level of education had to leave their village and move to a town to attend a mainstream secondary school. This put them under immense stress. Torn away from their traditional villages, they were cast adrift in an unfamiliar environment where they faced vicious discrimination. They became victims of bullying and targets for drug dealers and people encouraging them to drink alcohol. They suffered badly, and many of them dropped out. Now there is an alternative. Cirenio and Cisera Terena are teachers. They have established the Komomoyea Kovoero Secondary School in the indigenous territory, where Kayapo students can go for more advanced education, away from the pressures and distractions of the school in town. There are now over twenty Kayapó pupils at the school. They come from villages spread out across the Kayapó territory, which is the size of England. But they live in a dilapidated and very basic building, which desperately needs to be replaced. It is overcrowded and does not provide adequate facilities for the students to study. And that is where we come in. The money we raise will provide showers, lavatories, bedrooms and study areas. The students will have kitchen and dining facilities to help them to learn additional life skills. 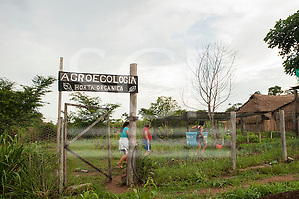 Beside the school is a vegetable garden, where the students help to grow most of the food for the school. They also tend banana plantations which help to raise the money to pay for daily expenses. The school strives to be financially independent, but the new accommodation block will enhance the opportunities for study and help the students to acquire the training and skills so vital if they are to help their people to maintain their traditions and cultures in future years. These are the future tribal leaders. They work hard at their studies. They merit our help. or text KYAP55 £10 to 70070 from your mobile phone – you can substitute a different amount. You are also welcome to email us to ask about making a direct transfer. 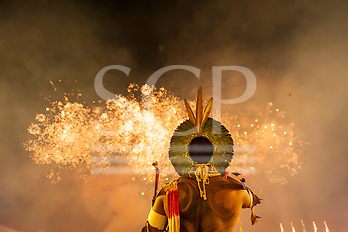 We have just returned from Brazil, where we went to the first-ever International Indigenous Games. Over twenty countries sent delegations. There were archers from Mongolia and the Phillippines, runners from the USA and Kenya and canoeists from Finland and Canada. There was a good representation of Maoris from Aotearoa/New Zealanad. 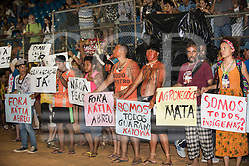 From within Brazil 24 ethnic groups were represented, including several from the Xingu region. They were there to celebrate the rich variety of indigenous cultures and to show their physical strength to the world. The event was poorly organised, and did not even pay lip service to any environmental concerns. It took place amid rows of enormous oil-powered generators whose principal function was to power ranks of air conditioners which battled to cool rooms and spaces that were open to the outside for the benefit of visitors to the games, while facilities for the contestants were woefully inadequate. Yet it was an amazing opportunity for the diverse groups of indigenous peoples from around the globe to exchange experiences, ideas and information. The Maori and North American groups told me that they have learned a great deal about the challenges facing their South American counterparts, and left with a resolve to help disseminate the information they had gained amongst their own people. They were shocked to hear about recent moves in the Brazilian Congress to water down the rights of indigenous Brazilians, which would put at grave risk their rights to occupy their traditional lands. When demonstrations about these proposals interrupted the games, nobody complained. For the Brazilian delegations the games offered valuable opportunities to build communications and contacts with people from other parts of the country, especially important just at this time when their rights are under such a potent and potentially devastating threat. The summer has passed and we are now in the bracing clutches of autumn. Yet it seems only a few weeks ago that we had the immense pleasure of hosting Raoni Metuktire and Megaron Txucarramae, leaders of the Kayapo and spokesmen for all of Brazil’s indigenous peoples, in our home. Their visit was a whirlwind. They would have liked a little time to see our country, and we wanted very much to show them some of the sights that date back to tribal times in England, like Stonehenge and the Uffington White Horse. But that was not to be; despite having very short notice of their visit we managed to put together a full programme, including open meetings at Oxford University and University College London, a meeting with senior-level MPs at the House of Commons and media interviews. They met with Survival International and the Gaia Foundation, and the Rainforest Foundation helped us to put on a press conference, chaired by Bianca Jagger. They even had a private meeting with Prince Charles. British politicians active in the areas of international environment and human rights are now better informed about the situation on the ground in the Amazon. The impact of this is difficult to evaluate because the results are not always obvious. The visit has elevated the public profile of Brazil’s indigenous peoples and highlighted the Brazilian government’s lack of commitment to supporting and prioritising environmental sustainability and indigenous peoples’ rights. Raoni spoke passionately about the demarcation of indigenous territories. In particular he talked about Capot Nhinore, traditionally inhabited by the Kayapo, where his ancestors lie buried. Although the government acknowledged the Indians’ claims over thirty years ago the area is still occupied illegally by settlers and farmers. Successive governments have unjustifiably sidelined the demarcation of this area. The Kayapo are left with no alternative but to take matters into their own hands. If the government will not act to fulfil its obligations, then the indigenous people feel they must do it for themselves. They need our support to do this, and today, following a plea from the Chiefs during their visit, we launch a fundraising initiative to help them. After thirty years of procrastination, in 2012 Brazil’s courts directed Funai, the Indian agency, to demarcate the land. The technical work has now been completed, but the demarcation still requires the signature of the Minister of Justice, José Eduardo Cardozo. It joins a growing number of other indigenous territories which have been fully researched and signed off by Funai, but which the Minister has refused, so far, to sign into law. The complete halt since April 2013 clearly demonstrates this government’s reluctance to fulfil its statutory obligations. Proposals to change Brazilian law in ways which will badly affect Brazil’s indigenous peoples are deeply troubling for Megaron. He told his audiences about several measures, any one of which will spell disaster for many indigenous communities. These range from moves to modify the 1988 constitution itself, to changes in ministerial regulations which could open up indigenous territories for mining and agriculture, oil exploration and dam building. These represent a major attack on the rights and interests of indigenous peoples. They go against the letter and the spirit of Brazil’s international commitments, including United Nations declarations and conventions which it has signed up to. They also conflict with rights granted under Brazil’s own laws, but the justice system is heavily loaded in favour of the government and against the intersts of indigenous communities. Dams present polemical problems in the Amazon. The Brazilian government claims they are a source of green energy, yet they produce so much methane that they can contribute more to climate change than producing the same amount of energy from fossil fuels. The social and environmental impacts are horrendous, and they bring hundreds of thousands of migrants into sensitive environments with no infrastructure, where they wreak unrestrained havoc. But the Brazilian government is adamant: Brazil will build ever more dams. Belo Monte, the world’s third largest, is presently under construction, despite Brazil’s courts having found it illegal time and time again. There are over twenty legal cases against it, mostly initiated by the Public Prosecutors’ Office in Belém. Each case takes years to come to court, yet when the courts impose injunctions to stop the construction they are suspended in days by a judge in chambers, pending a hearing in a higher court. That hearing is always years away, and in the intervening time the construction project steams ahead despite being judged illegal. One case which was initiated nine years ago, brought on the grounds that the project is unconstitutional, finally reached the Court of Appeal in August of 2012. Three High Court judges unanimously upheld the findings of the lower court and reimposed the injunction, paralysing the scheme. Within days, a carefully chosen Supreme Court judge had suspended the injunction yet again, allowing construction to recommence. By the time the case gets to a full hearing in the Supreme Court, the dam will be complete, so any finding will be too little, too late. These inequalities in Brazil’s legal process are at odds with its claim to be a modern democracy. They hark back to the dark days of military dictatorship. Brazil has plans for up to sixty huge dams in the Amazon, and hundreds of smaller ones. The sensitive rainforest environment is already changing, becoming drier and less stable. Rapid development in the States of Mato Grosso and Pará in recent years are already causing a reduction in rainfall which threatens to leave the dams with insufficient water to work efficiently, yet the viability and environmental studies for them failed even to consider these factors at all. With Belo Monte fast becoming a fait accommpli, attention is now moving to the next river, the Tapajos, where three dams are already in the advanced planning stage. These will have a massive impact on the Mundurucu indigenous people. 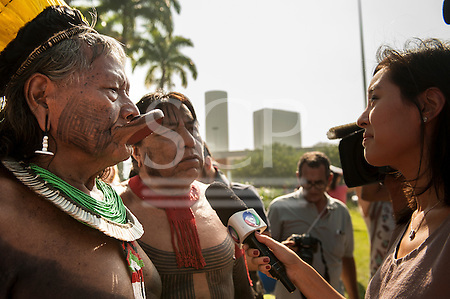 Kayapo Chiefs Raoni Metuktire and Megaron Txucarramãe arrived in England last Monday. They found themselves very quickly ushered into the high tech surroundings of the Channel 4 studio! It has been twenty-five years since Chief Raoni was accompanied by rock star Sting on a world tour. Sadly, the threats and problems that existed then are still causing problems, and a giant dam – Belo Monte, which will be the world’s third largest – is being built on the Xingu River where he lives. It was a great experience. It was very touching how, with the interview completed, all of Paul’s highly professional team just couldn’t wait to get selfies of themselves with the chiefs – and that included Paul Mason himself, who was clearly deeply moved by the meeting! Photos related to the June 2014 visit are available from the Sue Cunningham Photographic picture library. The gallery below includes photos taken during the visit and historic photos of the two Chiefs, together with a selection of images which illustrate the issues they raised while in the UK. The pictures are available for editorial use on a commercial license, but a limited selection may be made available free of charge on a limited license for use only in connection with this visit and stories related to it. Photos are not supplied Royalty Free and may not be distributed to third parties or used on the Internet, other than as stated above. Clicking on an image will take you to the Sue Cunningham Photographic site. Bianca Jagger has written a thorough article in the Huffington Post, timed to coincide with both the coming visit of Chiefs Raoni Metuktire and Megaron Txucarramãe and the start of the World Cup. Well worth a read. Chiefs Raoni Metuktire and Megaron Txucarramãe are coming to Europe. In the UK Tribes Alive has organised public meetings with University College, London (UCL) on Tuesday 10th June at 6:30pm, and with Oxford University on Wednesday 11th at 5pm. In Oxford, the venue will be the Blue Boar Lecture Theatre at Christ Church College. There is no need to register. The Chiefs are here to highlight the failure of the Brazilian government to respect the rights of the indigenous peoples. Not a single indigenous territory (TIs) has been approved since April 2013 and only a handful were approved during the first two years of the Rousseff government, although over 33 percent have yet to be demarcated. In addition there are numerous proposals for changes to Brazil’s constitution and laws which would see indigenous rights drastically undermined. The indigenous people of Brazil today feel marginalised and discriminated against. The government has ignored the timetable laid down in the 1988 Constitution which said that demarcation of all indigenous territories (TIs) must be completed by 5th October 1993. More than twenty years after that deadline expired a third of all TIs are still not approved. The present government has the poorest record on demarcation of any since Brazil’s return to democracy, having initially slowed approval of demarcations to a trickle, then paralysed the process completely. Brazil’s performance on the rights of indigenous peoples has been roundly condemned by the United Nations Special Rapporteur on Indiegenous Peoples and by the Inter-American Commission on Human Rights. Over 500 indigenous people from 100 ethnic groups last week staged marches and demonstrations in Brasilia, in the run-up to the World Cup, using the event to highlight government failings and to protest against the proposed changes to the law. During their visit to Europe, which has been organised by French NGO Planète Amazone, Chiefs Raoni and Megaron will be meeting representatives of the French and British governments, King Harald of Norway and Prince Albert of Monaco. In the UK they will have a personal audience with Prince Charles. Two Kayapo Chiefs today issued an invitation to the England squad to visit their Amazonian village for a game of football. In a letter to England Manager, Roy Hodgson, Chief Raoni Metuktire and Chief Megaron Txucarramãe have invited the squad to their rainforest territory “after playing Brazil in the final”. The Chiefs are awaiting the Squad’s reply anxiously. Channel 4 News carried the invitation yesterday. The programme of visits to schools by Sue and Patrick Cunningham continues to grow. They are now being invited back to some schools for the third time to present their illustrated talk, which is continuously updated to reflect the changing situation. The talks are lively and generate sustained question and answer sessions, cramming a huge amount of information into a short time in an exciting and accessible format. Audiences value the personal connection to the rain forest which they get from the talks. You can follow on Facebook the growing list of schools, colleges and universities across Britain which they have visited. Sue and Patrick would very much like to extend their visits to reach more schools, especially in the public sector. They work as volunteers for Tribes Alive, so they need to be paid for the talks. They are looking for sponsorship to fill the gap in resources which makes it difficult for public sector schools to take advantage of the talks.